Don't miss the latest on Taylor Swift's 1989 World Tour guest, Nick Jonas and Demi Lovato's collab, Dave Franco's engagement, Shawn Mendes and Camila Cabello's rumored relationship, and Zac Efron's latest movie! 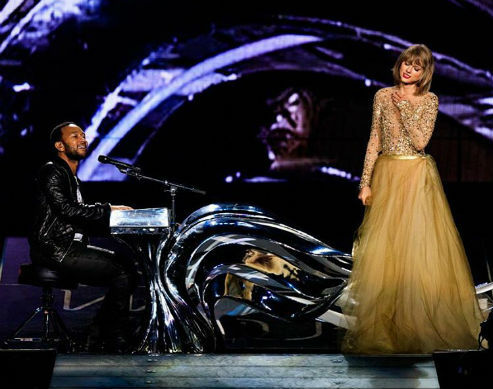 Taylor Swift's latest guest at the 1989 World Tour's Staples Center stop is giving us all the feels! John Legend sang his hit romantic song "All of Me" with the hitmaker and made all of us fall in love with the song all over again. Can they release this as a single? READ: Is Ed Sheeran Saying Bye-Bye To Music? @camilacabello97 is the worst at texting.